GoPro launches Fusion 5.2K spherical camera. GoPro today announced a pilot program for GoPro Fusion, its 5.2K spherical camera designed to be the ultimate capture device for both fully immersive virtual reality content as well as conventional non-VR video and photo formats. Starting today, professional content creators can apply to participate in the pilot program which is expected to roll-out during the summer of 2017. Fusion is the ultimate spherical capture solution for innovative, envelope-pushing content creators. In addition to high performance spherical capture for fully immersive VR experiences, Fusion's 5.2K resolution enables a new OverCapture creative solution that gives content creators the flexibility to produce conventional non-VR video and photos in HD-quality "punched out" from the spherically captured angles. Not just a VR capture solution, Fusion ensures that traditional content creators will get the shot, while also capturing the unexpected. Fusion is compatible with a broad range of GoPro's mounts and handheld accessories.This summer, GoPro will be working closely with a selection of pilot partners - including brands, agencies and content professionals - to further refine the user experience and produce inspiring content that demonstrates the creative potential of Fusion. Those interested in participating in the pilot program can apply now at www.GoPro.com/Fusion. 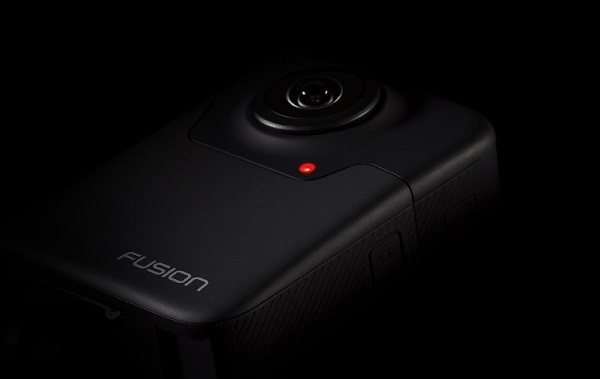 GoPro plans a limited commercial release of Fusion by the end of 2017. Details on pricing and other specifics will be provided at launch.